Daniel’s Food Diary is giving away 2 bottles of Happy Sheep Honey – New Zealand’s purest and all-natural wild honey. 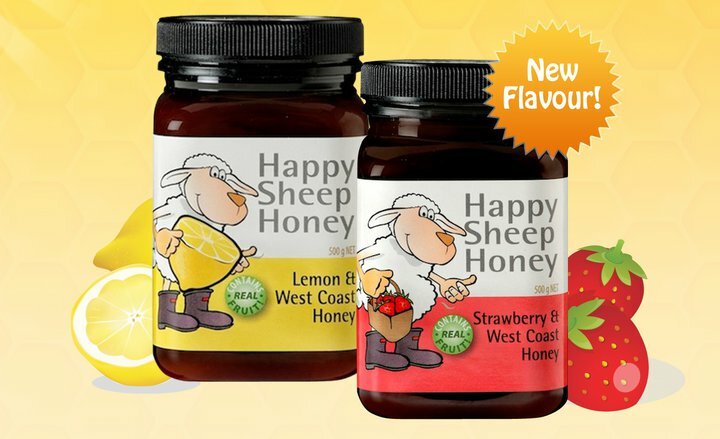 Happy Sheep Honey is sourced from artisanal beekeepers with generations of experience and the range includes a selection of four unpasteurised honeys – West Coast Honey, Active Manuka 12+ Honey, Lemon & West Coast Honey and Strawberry & West Coast Honey. Happy Sheep Honey is gathered from over 4,000 hives in the wild and remote native forests of the West Coast region in the South Island of New Zealand. With a range of four flavours, Happy Sheep Honey can be used as an unprocessed sweetener or as a perfect accompaniment to treats such as scones, waffles and beverages. So smart! I was thinking what to do with my two bottles. I like their honey, and already have two bottles in my fridge. Honey’s good for you. Drink it every morning! Hey! I’m one of the winners Thanks for sharing! Looking forward to a honey sweet breakfast soon!